1. Approve a 10 year Master Campus Plan including the five year financial plan for phases 1 (PAC), 2 (New Gym), and 3 (Gym Classroom Conversion). 2. Develop a recruitment strategy and sustainable succession plan for the ISD Board of Trustees and present it to the Board by May 2017. 3. Support ISD’s reaccreditation process. To achieve its goals, the Board works through committees. - prior experience on international or independent school boards, please consider joining the Governance & Development and Policy committee. A parent expert on a committee is not required to attend Board meetings or to fulfill Board duties. Committee workload is one meeting per month, plus research that may be required of members as needed. 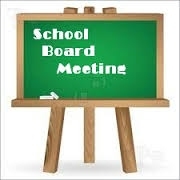 If you are interested in sitting on a Board committee or would like additional information, please contact Louisa Gibbs, Board Secretary, at boardbox@isd.sn. We look forward to hearing from you.